UPDATE, January 16, 2018: Great news: Together we pushed the EU Commission to tackle single-use plastic! This wouldn't have been possible without the hundreds of thousands of SumOfUs members like you taking action. Now, we need to make sure the Commission follows through with concrete action! 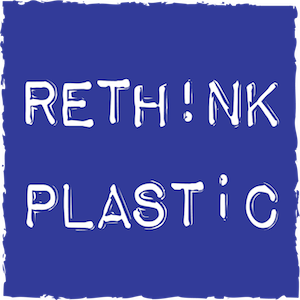 UPDATE, November 2017: A secret plastic waste strategy paper from the European Commission only mentions a “possible” initiative on single-use plastics -- a much weaker commitment than in an earlier leaked draft. Add your voice and help make sure the Commission doesn't bow to corporate lobbyists! Thanks to the lobbying efforts of massive brands like Coca-Cola, our oceans and rivers are becoming nothing more than plastic landfills. For years the plastic lobby has been derailing legislative efforts to reduce plastic production and increase recycling -- while fish and birds across the world choke on plastic. But finally, we have a chance for a change. By the end of the year, the EU Commission will release a new plastic strategy. It could be a game changer for the planet or another concession to corporate lobbyists. Together, we can make sure our voices are heard louder than the corporate lobbyists’. Will you join us? When an emaciated whale washed up on Norway’s shores this winter, many were shocked to see the 30 plastic bags found in its stomach -- which starved it to death from the inside. This is the fate of countless fish, birds, and turtles that take in plastic and micro-plastics that linger in the environment for centuries. Plastic waste is so pervasive that it’s even finding its way onto our dinner tables -- climbing the food chain from plankton on to fish that are caught for human consumption. Clearly, millions of Europeans understand the risk of plastics that never decompose, accumulate toxins, and are often produced with poisonous additives. That’s why brands like Coca-Cola spent €900,000 lobbying the Commission in 2015 to stop plastic reduction and recycling efforts. But we won’t let the Commission bow to corporate interests over people and the planet again. We need to make sure the Commission’s plastic strategy takes real steps forward by reducing wasteful single-use plastics, banning toxic plastic additives, and setting new targets for plastic recycling. We only stand a chance if our voices are heard over and above corporate lobbyists. And we have just the plan to catch the Commission’s eye -- but we need your help to pull it off. As the Commission meets to discuss its plastic strategy with stakeholders on September 26th in Brussels, we’ll be bombarding them with massive billboards throughout the city, telling them just how many citizens are calling for a sustainable plastic strategy. But this will only work if hundreds of thousands of people sign. Are you in? The first ever UN Oceans Conference just gave us our gravest warning yet: Our oceans are under threat as never before. That’s why hundreds of thousands of us are calling on McDonald’s to ditch plastic straws -- and for major drugstore chain dm to get rid of microplastics in cosmetics. It has never been more urgent to double down on fighting plastic pollution. Europe is the world's second largest plastic producer. Now, we have the chance to chart a new course for Europe and the countless countries that can follow our lead. The Guardian. 16 January 2018. The Guardian. 8 September 2017. European Commission. 26 January 2017. The Telegraph. 3 February 2017.